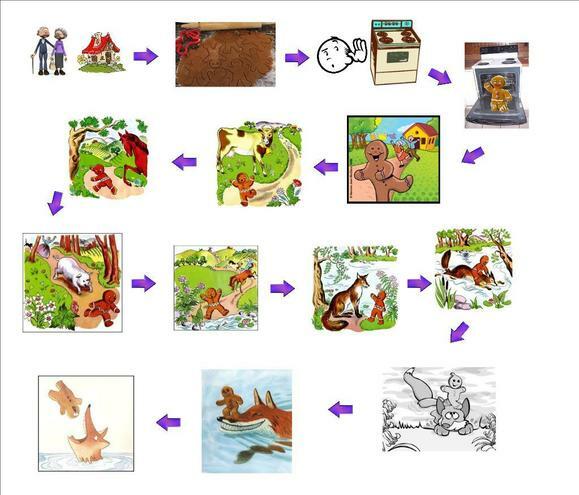 WC 16th March our traditional story will be The Gingerbread Man and we will be baking gingerbread men with the children. A woman bakes dessert for her husband-a delicious gingerbread man. But this cookie on the run has other plans in mind! The story of the "Gingerbread Man"
We are looking at the features of story books: title, front cover, back cover, blurb, spine, pages, illustrations, author, text, characters, settings. Once upon a time, there were three little pigs who went off to build their houses. The first little pig built his house of straw, which was not very strong. “Not by the hair of my chinny chin chin,” said the first little pig. And he did. And he got the little pig and ate him all up. The second little pig built his house of sticks, which were not very strong. “Not by the hair of my chinny chin chin,” said the second little pig. The third little pig built his house of bricks, which were very strong. “Not by the hair of my chinny chin chin,” said the third little pig. But no matter how much the wolf huffed and puffed, the house did not blow down. But when the wolf came down the chimney, he fell into a pot of boiling water and boiled all up. 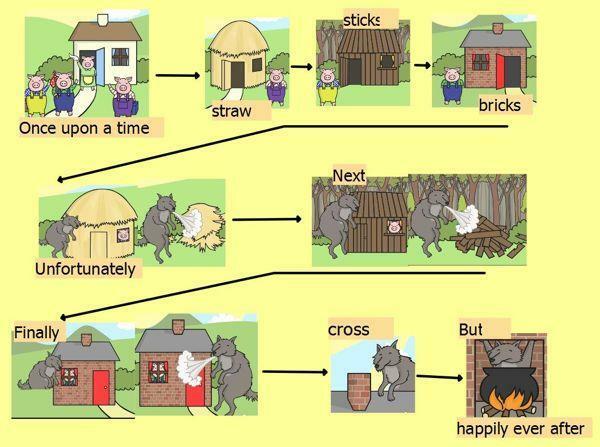 And the third little pig lived happily ever after in his house of bricks. 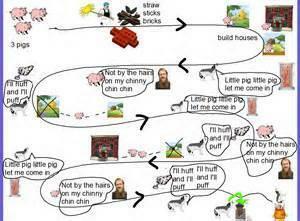 We will be using story maps to help us retell the story of The 3 Little Pigs. 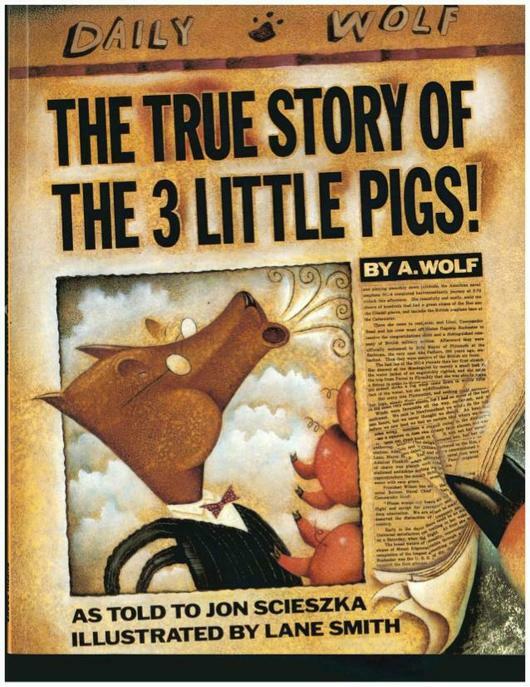 We will be reading the true story of the 3 Little Pigs to find out the wolf's version of events. We will be changing the characters in the story and changing the style of the houses that the characters build. 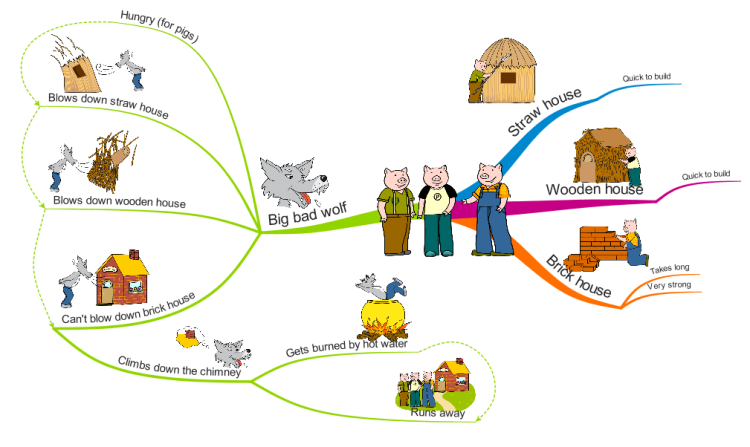 This week, 9th March, we are looking at changing the characters in the story of the three little pigs. The children have decided that they want to tell the story of the three little dinosaurs and the big bad t-rex. Towards the end of the week we will looking at changing the different types of houses that the dinosaurs build. We will also be making funny face pancakes on Friday for Red Nose Day as well as painting each other faces with face paints. The children can come dressed in a RND t-shirt or wear a red t-shirt on Friday. Donations of £1 will go towards our partner school in Chembe, Zambia.